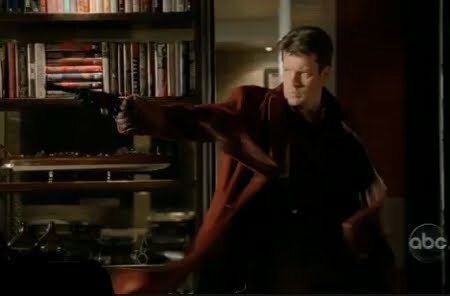 TNR -- TV News and Reviews: Castle -- "Vampire Weekend"
I didn't even know about Firefly until a cople years ago, but my girlfried is a huge fan of the "Whedon-verse" and went crazy when the show opened with him in that get-up. Castle is really growing on me, especially sicne I can watch it this year since reruns of Mt Name is Earl have been moved to everyday instead of just monday nights. Castle is nice and fluffy. I don't get bent out of shape if I miss it, but I enjoy it when I watch it. I think the last two episodes I watched were an improvement over last season, so I might get more dedicated if it keeps getting better. Let's hope it doesn't get the ax. Eep!